Nudibranch (Tambja gabrielae) on a reef. Nudibranchs, or sea-slugs, are shell-less gastropod marine molluscs that live in seas around the world. 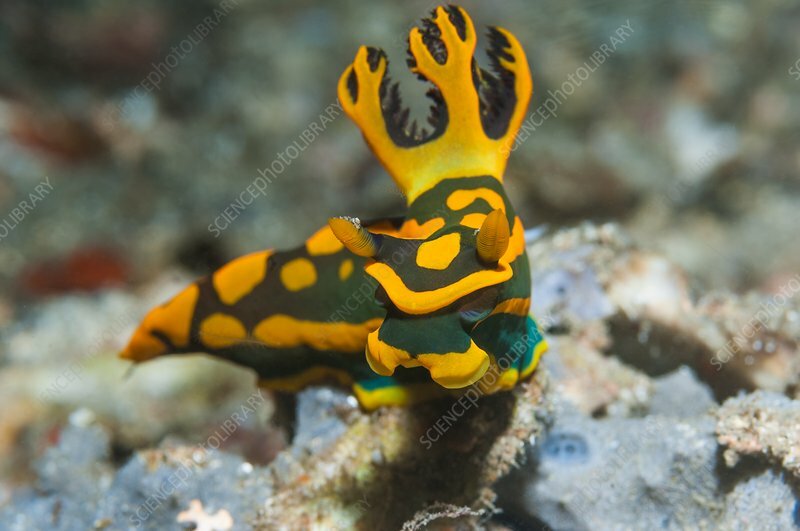 They have external gills that give the nudibranch its name, meaning naked gills. Tambja garbielae is found in Sulawesi (Indonesia), Philippines and Papua New Guinea. Photographed in the Lembeh Strait, North Sulawesi, Indonesia.